I’ve been collecting colorful washi tape for awhile, never with a specific project in mind but simply because it’s just so delightfully pretty. So when I decided to make a cake (and pancake stack) topper out of some of my pastel-colored tape, I knew it was just the beginning of a plethora of washi tape projects to come. I bet you, too, will find it irresistibly addicting. 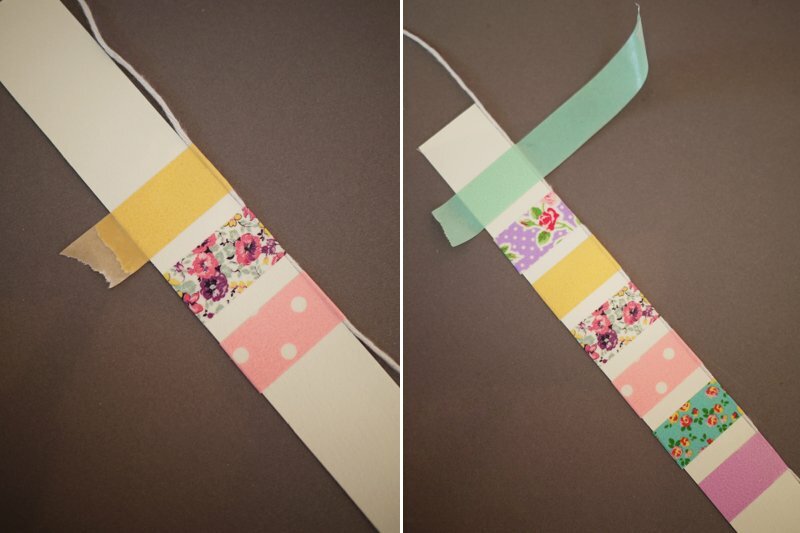 Grab some of this incredibly versatile tape for yourself and let’s get bunting! Start by taking a thick piece of card stock or paper and cutting it into a 1″ x 10″ strip. Because washi tape is lightweight and semi-transparent, the card stock helps weigh the flags down and the color opaque. Take a long strand of butcher’s twine and center it against the strip of paper, lengthwise. 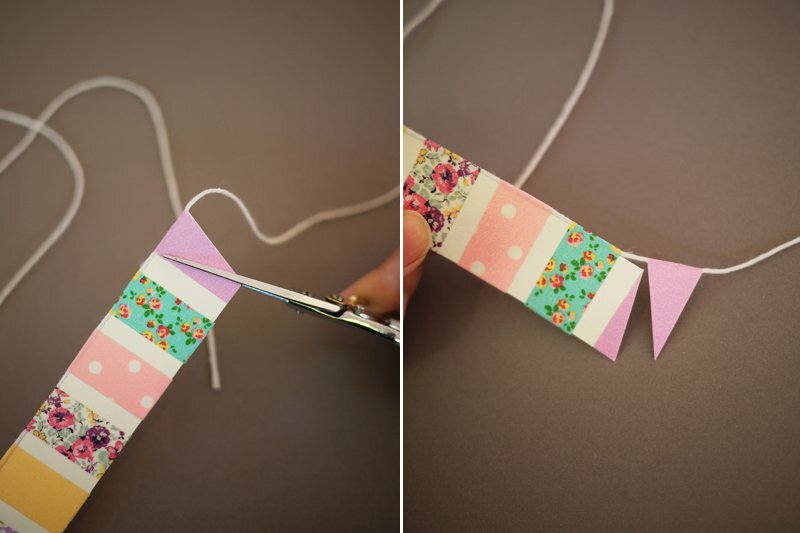 Paste a 2.5 inch piece of washi tape to the center of paper, crosswise. 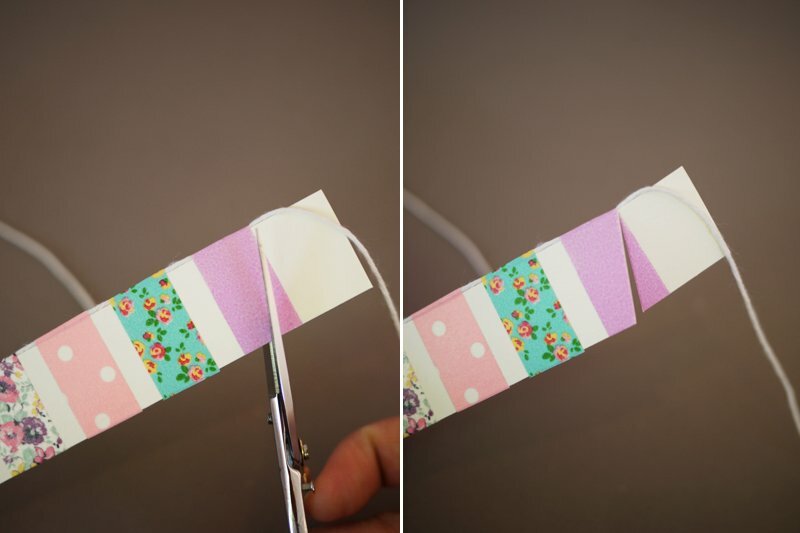 Fold the tape over to the other side, while keeping the string above the paper. The two sides should line up. Washi tape is very forgivable so feel free to reposition to your liking. 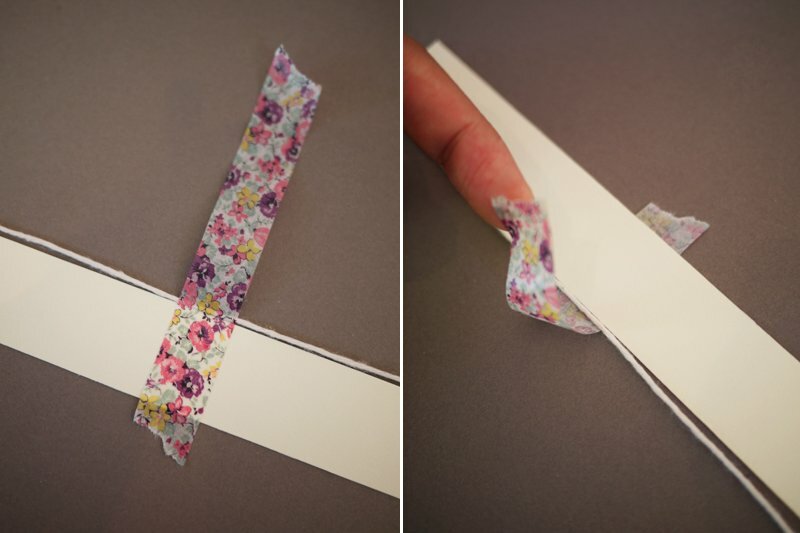 Trim any excess tape away. 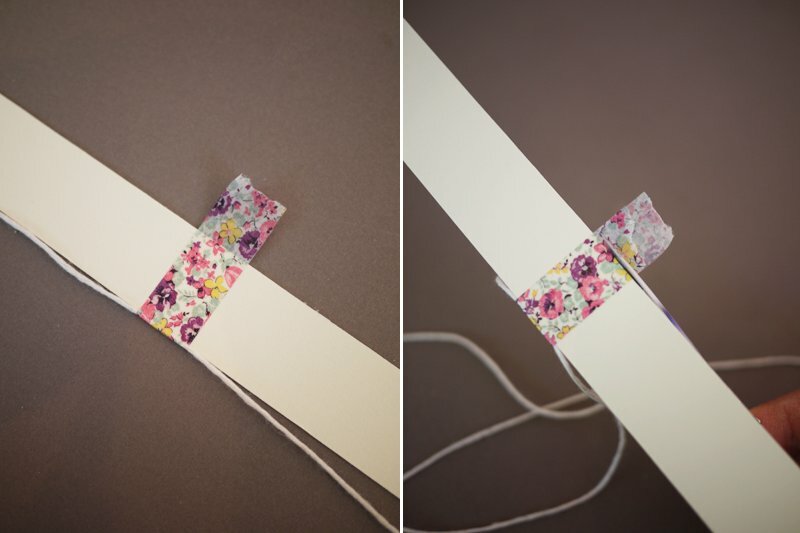 Repeat the same steps with the rest of the tape, leaving each piece 1/6″- 1/4″ apart. 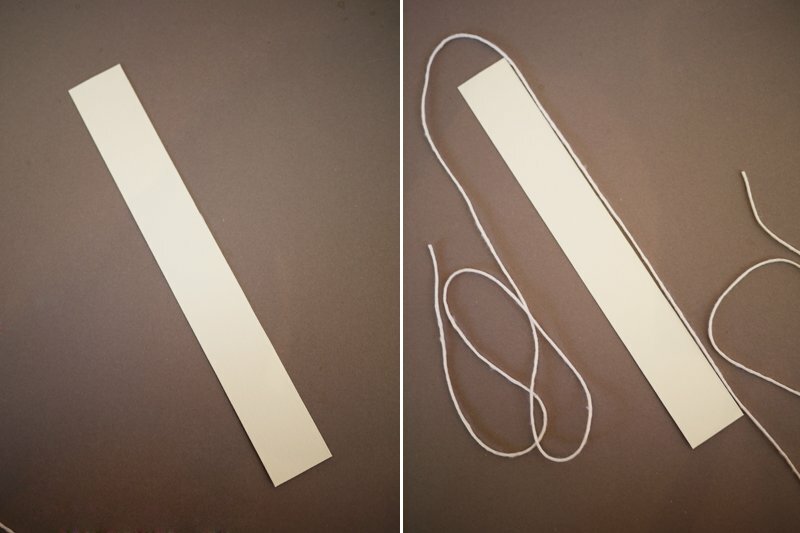 Don’t forget to keep the string above the paper – don’t tape the string onto the paper! Starting from the middle of each taped off section, cut upwards to the string at an angle. Be sure not to cut the string. Repeat the steps until all the flags are formed. 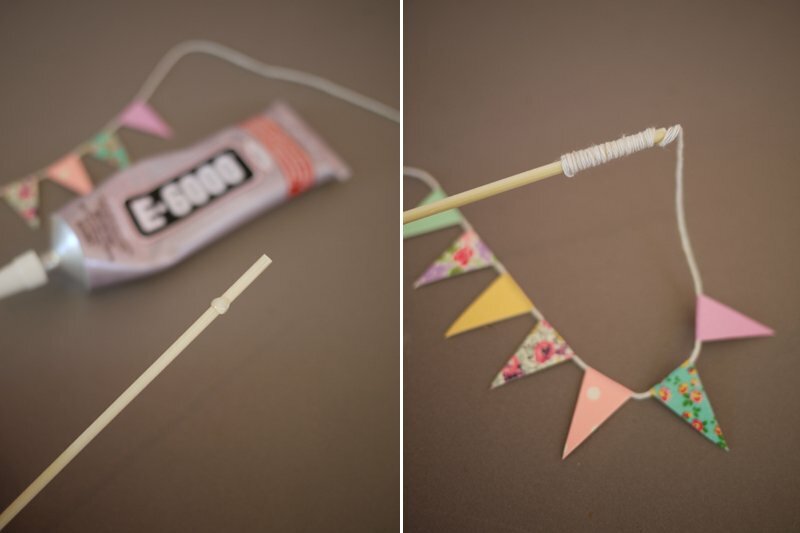 Apply a dab of glue onto the top of a wooden skewer before wrapping the end of the butcher’s twine around it. Do the same to the other side. Allow to dry and trim the skewers from the bottom if necessary. 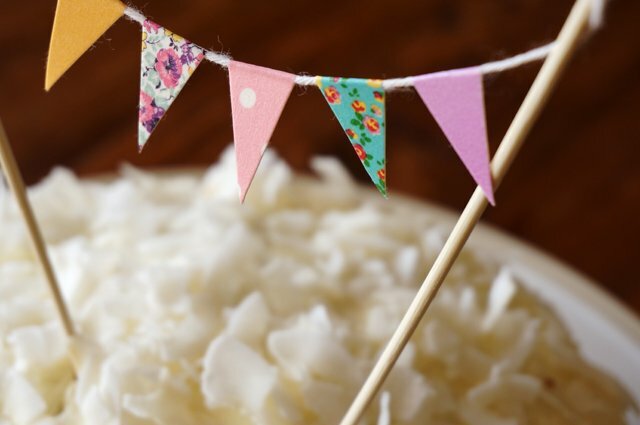 Insert into your favorite cake for a sweet topper! I like this diy. I am a Chainese,but I like so much. 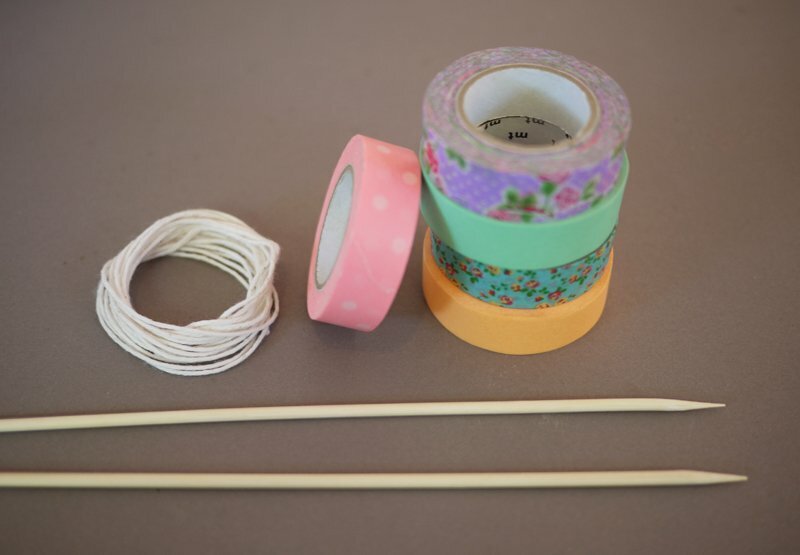 I finally got some tape and i’m so excited to do this for my garden party!!!! 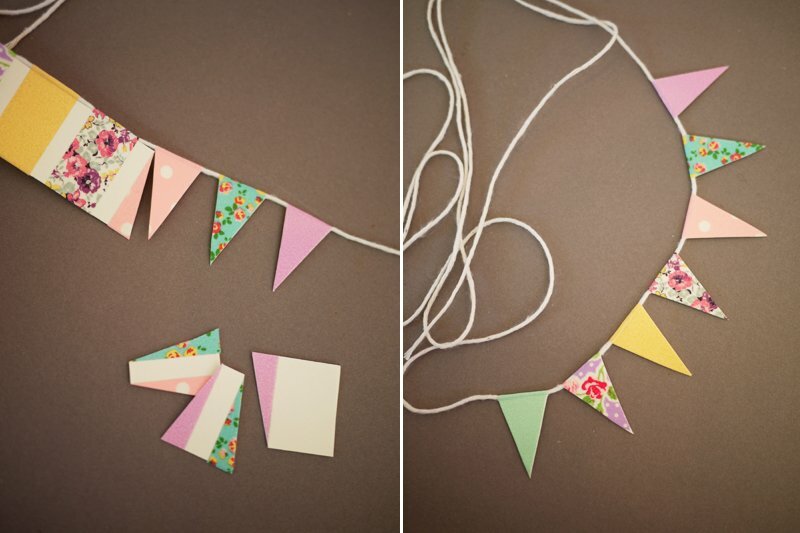 Totally cute color combo…rarely see floral used for bunting! I love this! How fantastic for a birthday cake topper too ?! this diy is so cute!!! This looks like an pretty easy way to dress up a cake. I love to bake but my cakes never are very pretty, this would definitely help! Love!! 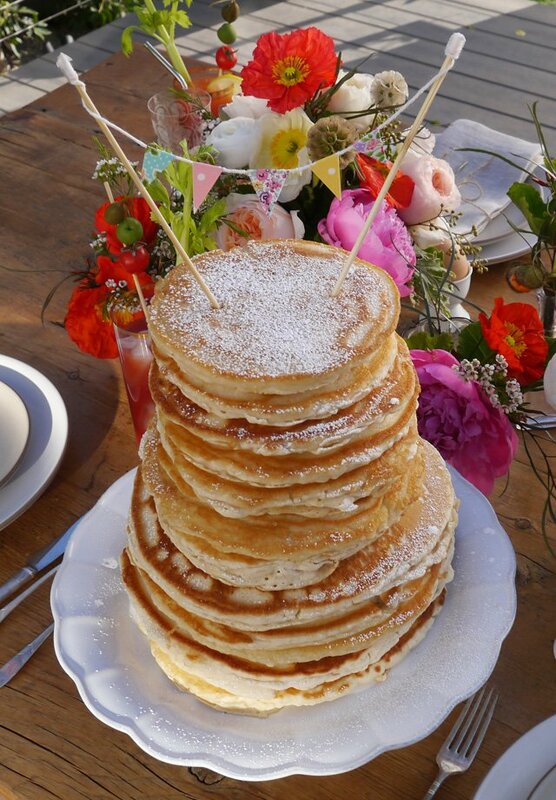 Perfect for baby or bridal showers!! I just discovered washi tape a few months ago and I’m a big fan! I use it to mark off dates in my planner and when gift wrapping, but this is a great use for them as well. I have been seeing washi tap all over the blogosphere lately. 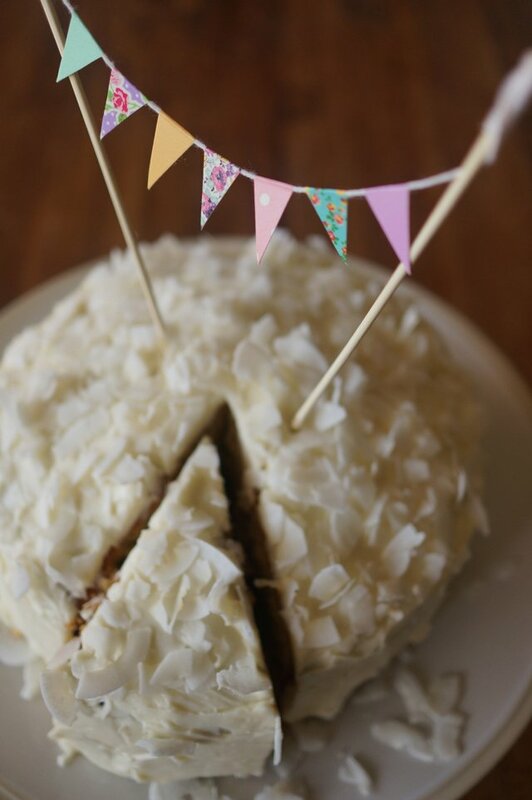 Love this DIY, such a cute easy idea to dress up a beautiful cake! I’ll definitely be using this for my next birthday party!